There is a magical depth to Akaroa that I believe reveals itself to you the longer you are here. I fear a few short days will mean we will not reach those depths but is a good reason to want to return. To explore the true Akaroa. I’m smitten that’s for sure. It’s my kind of place. The late summer sun is certainly bringing the best out of this beautiful spot. I can imagine in high season that the place is bustling with people. But it seems quiet now amplifying the tranquility. I dare say this view hasn’t changed in years. 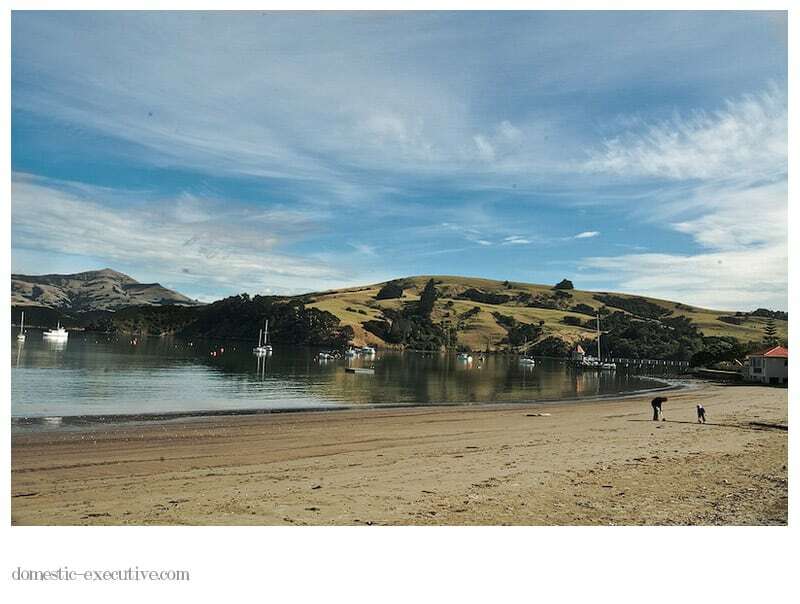 For all the quaint stores, art galleries and eateries Akaroa harbour is most certainly the star of the show.